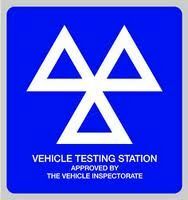 Come to Tech Tyres Ltd today for quality MOT testing in York! Tech Tyres Ltd can offer class 4, 5 and 7 MOTs for customers throughout York and the surrounding areas. We offer a while you wait service if required, with a comfortable reception and view area available if you would like to see our MOT specialists at work on your vehicle. An MOT is a compulsory test for your vehicle which looks at some important items on your car to ensure they meet the legal requirements at the time of your test. We check to ensure your vehicle bodywork is free from any excessive damage or corrosion in specific area. This includes any sharp edges that can cause injury, while we also check the security of tow-bars, the condition of your bodywork and the correct operation of your 13 pin electrical socket. We will also check the speedometer and the conditions of your engine mountings. We inspect your fuel system to check that there are no leaks and that the security and condition of pipes and hoses in your vehicle is at the required standard. We will also check that your fuel cap fastens securely, (Please note that the fuel cap will need to be opened so please be sure that the key is available. Our mechanics will check to see that your vehicle meets the requirements for exhausts emissions which are levelled depending on the age and fuel type of your vehicle. We will check that the system is secure and complete and also that the catalyst is not missing if one was fitted as standard. Checks will also be made to detect any serious leaks and that the system is not too noisy. All of your vehicle's seat belts will be checked for the type, condition, operation and security. All mandatory belts must be in place and we will also check the malfunction indicator lamp for the air bags and seat belt pretensioners. We will check to see that the driver's seat can be adjusted and that all seats can be secured to the correct upright position. Latch security will be checked in the closed position, as well as ensuring that all doors open correctly from both sides and that all the hinges and catches work correctly for security and safety. We will check that the minimum number required are present, as well as their condition and security. The boot and tailgate will be checked so that it can be secured in the closed position. Our mechanics will check the condition of your brakes including any modifications or repairs made, as well as their operation and performance. The removals of road wheels and trims are not part of the test. We will also check any ABS, ECS or other if present, as well as the MIL and warning lights. We will check the condition of your tyres and wheels as well as their security and tread depth. Spare tyres are not inspected as part of this test. Checks will be made to the condition, security and colour, as well as the character condition. Checks will be made to the condition and operation of your lights and headlamps, as well as their aim and any warning lights. Security latches in the closed position will be inspected. These will be checked to ensure that they give the driver a clear view ahead. The condition of your windscreen will be inspected to determine the diver's view of the road. We will check that the horn works correctly and is a suitable type. We check the condition of the steering, as well as the oil levels and that both systems work correctly. We will also check that the systems are not corroded. We will check your VIN number which should be present on all vehicles (except multi-stage) from vehicles made from 1/8/1980. You can pre-book your MOT tests with us, or if you would like to wait, simply visit our garage, although to avoid any lengthy delays, we advise that you call ahead. 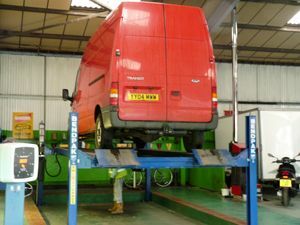 If you need to book you vehicle in for an MOT or want to book any of our services then give us a call on 01904 409 795. We are also happy to make bookings for any of our services via our email contact form.